Where can I find a BuyCostumes.com coupon? Visit Valpak.com – before you shop – for a Buy Costumes promo code you can use online. Save on costumes for the entire family, including pets, as well as on Halloween decorations. What new Halloween costumes will I find in 2018? 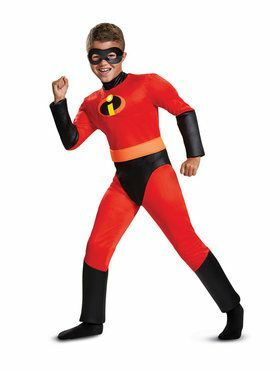 Whether you’re attending a costume party or going trick-or-treating, look for Black Panther, Incredibles 2, Jurassic World, Ant-Man and Star Wars costumes to dominate this year. Find your favorite character costumes at BuyCostumes, where there is always a new collection for Halloween. Can I get free shipping on my order? Usually, you’ll need a BuyCostumes.com free shipping code to avoid paying for delivery charges, but the good news is that you can often find one on Valpak.com or on the BuyCostumes website. If applicable, remember to reach the minimum purchase threshold to qualify. What day of the week is Halloween 2018? This year Halloween falls on a Wednesday, and of course it’s always on October 31. Are there other ways to save money when I shop? The best way to save is to combine a BuyCostumes coupon code with merchandise that is on sale. You’ll find plenty of great costume ideas and decorations that are already discounted. Most orders will not be charged sales tax. If your order is being delivered to California, New York, Wisconsin, Washington, Tennessee or Kentucky, you will be charged sales tax; however, deliveries to every other state will not be charged tax. 30 days for returns. You can return or exchange merchandise in its original condition within thirty days. Visit site for details on exchanges and returns. Buy discount costumes, accessories and decorations and save money. Visit the Sale section online for deals and savings on Halloween costumes and decor. Click this link to get the exclusive offers and discounts with BuyCostumes newsletter email sign up. Restrictions may apply. Click this link and shop on all new costumes. Restrictions may apply.